Anyways, on to the outfit. I just love this outfit and I love wearing white all year round. I think white jeans look great with all the rich fall colors out there in the market right now. Speaking of colors... the color of this top I'm OBSESSED with. 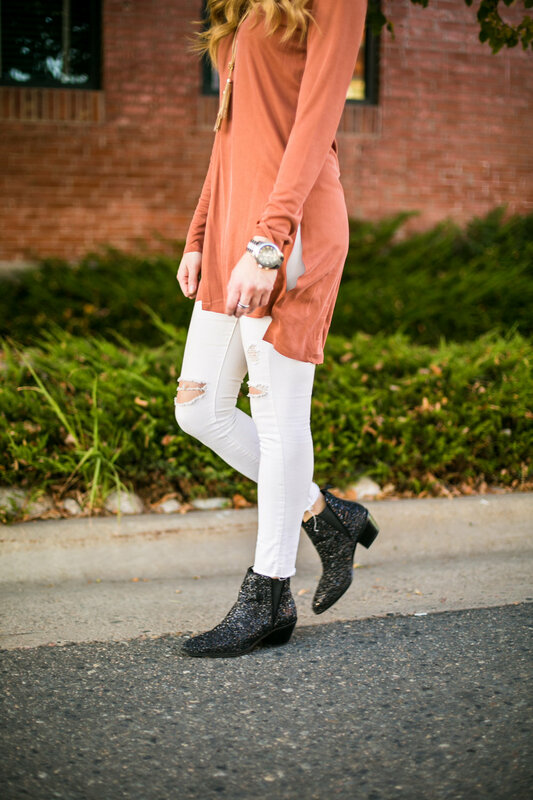 I love this rust color for fall. It's different and eye catching. 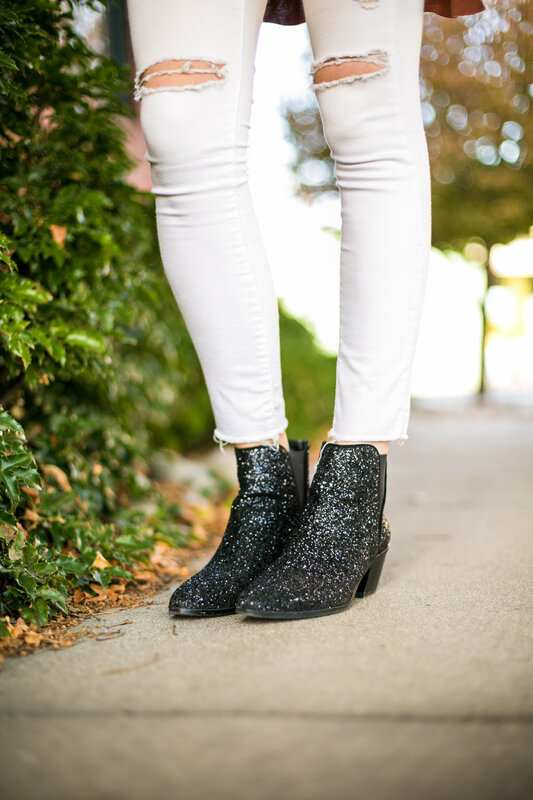 Statement booties have definitely been my thing this fall, and these sparkle booties are no exception. I saw these at Zara and immediately needed them. 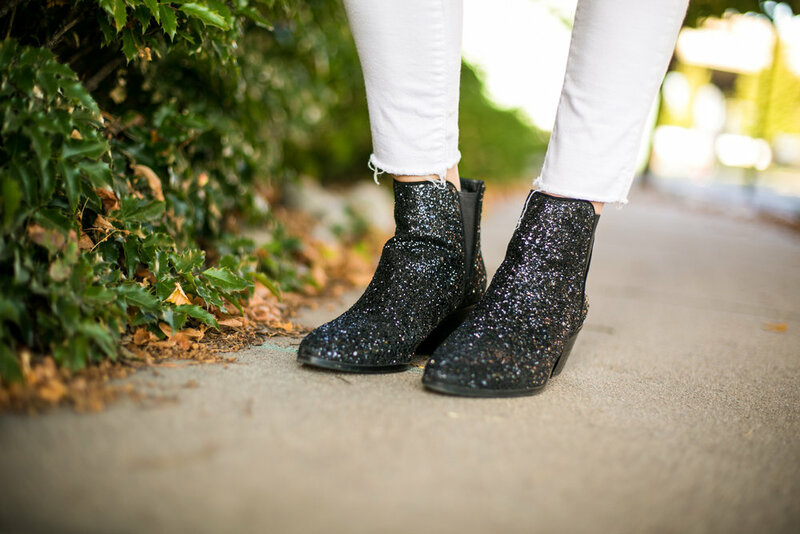 They're different than your basic black and add an extra little something to an outfit in an easy way (and let's face it, I love easy). Last but not least, this coat was on repeat in a major way for me last fall. I honestly can't believe it's still in such good shape given how much I wore it. I was skeptical when I purchased it from SheIn as the prices really did seem too good to be true, but so far I've been nothing but pleased with this purchase and how it's held up. It comes in three different colors and is on sale! I sized up and got a medium, which I'm really glad I did. Their sizing runs a little small, FYI. Did you see that Sweet & Sauer got a Facebook page? Be sure to like the page so you never miss a post!